It's been a busy past couple weeks in the craft beer world! It's the end of the summer, and it seems that everyone wants to squeeze out as many beer festivals as possible before the cold weather sets in. This past Friday was the New Belgium "Clips" Beer and Film Tour in Asheville, while the weekend before was the High Country Beer Festival at Appalachian State University in Boone, NC. I rode up to Boone Saturday morning with the guys from Hi-Wire Brewing Company. As we climbed higher into the mountains northeast of Asheville, it became obvious why the festival deserves the title "High Country." Arriving on the Appalachian State campus, a staff member gave me a quick tour of the school's fermentation science facilities. 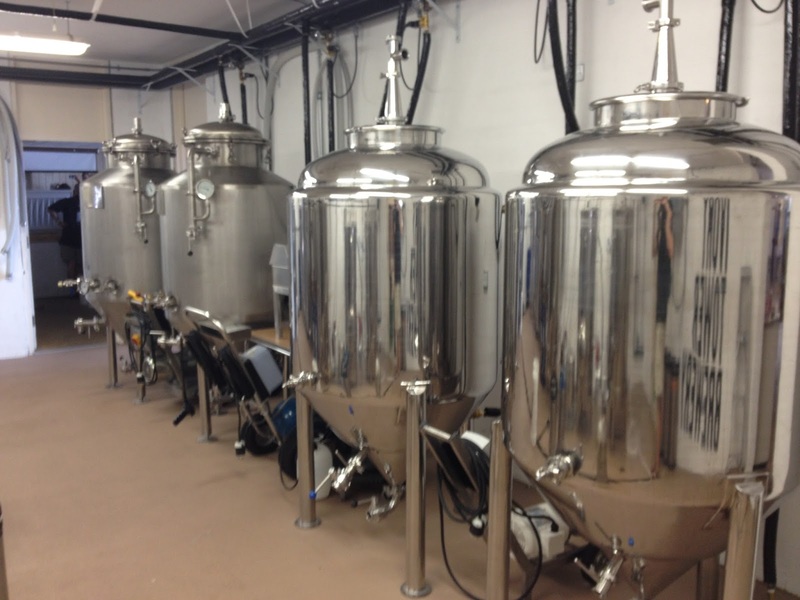 Transfers between vessels are controlled here... how about one of these for the home brewery?! If only they had this set up at my alma mater! 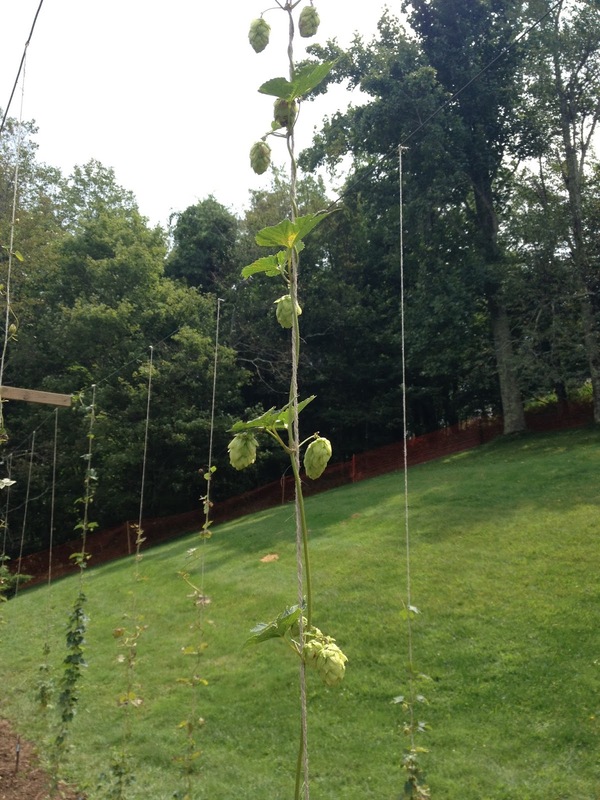 Before the crowds started coming in, I took a quick look at the App State hop yard. As we approached the two o'clock hour, the taps started flowing. Right away I was met with excellent North Carolina beer from the Blind Squirrel Brewery in Plumtree, NC (what, you've never heard of Plumtree?). They had a Wee Heavy that was right on the mark, a rich and malty brew. They also served a deliciously hoppy Amber Ale, brewed with Cascade and Fuggles hops. I was surprised to find that the beer had no early hop addition; all the hops were added at the 25 minute mark or later. This highlights the flavor and aroma of the hops without making the beer too bitter. A good technique to keep in mind for the next batch of homebrew! Next up I tried what was probably the most interesting and surprisingly tasty beer of the festival. 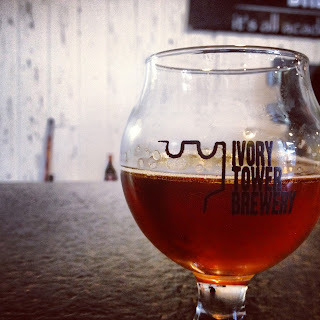 Baba Budan Coffee IPA, a collaboration brew between Boone's brand new Appalachian Mountain Brewery and the soon-to-open Fonta Flora Brewery of Morganton, NC. AMB's Nathan Kelischek and Fonta Flora's Todd Boera (formerly of Catawba Valley Brewing Co.) steeped 40 lbs. 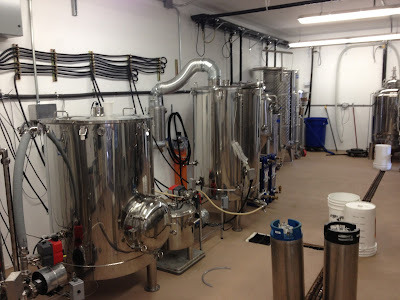 of locally roasted Kenyan coffee beans in the finished beer for eight hours. Because the coffee wasn't ground, the coffee contributed flavor and aroma but hardly any color. So despite the coffee, the beer was still pale in color! The coffee blended surprisingly well with the spicy hop notes. Other impressive beers included what came from Durham's Fullsteam Brewery, including Summer Basil, Cackalacky Ginger Pale Ale, and Tasty Town Brown. Fullsteam makes an effort to support local agricultural and as such, all of the basil in Summer Basil is grown in North Carolina. 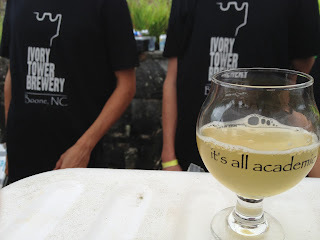 I made a point to try some of the beers brewed by the Appalachian State Fermentation Science program, specifically the "Local to Global" beer made entirely with North Carolina ingredients. 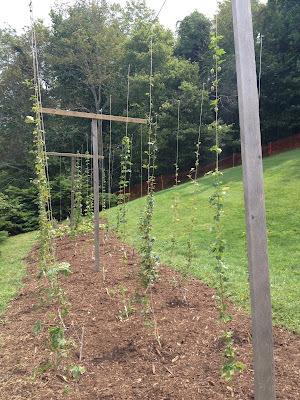 The bulk of the grain came from Asheville's Riverbend Malt House, with hops coming from Bulleit Farms and Farm Boy Farms. Farm Boy also contributed some wheat to the grain bill. The yeast was harvested by ASU students from a North Carolina vineyard. Where I expected the beer to be very similar to the one I tried at the VA Craft Brewers Festival, this one was noticeably different. 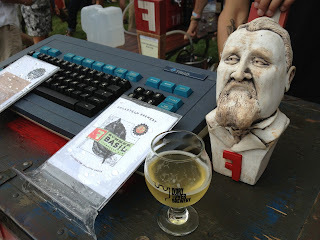 The color was very pale and the farmhouse character was prominent, with the hops being somewhat subdued. 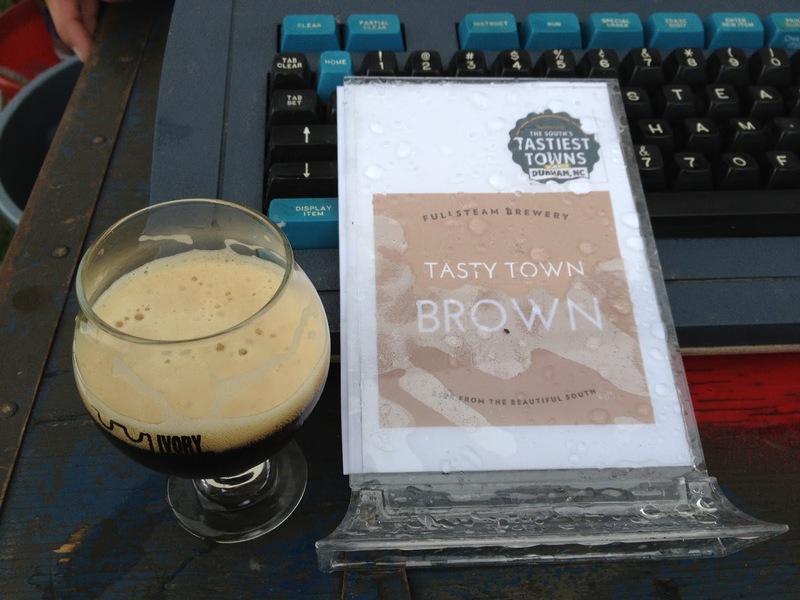 A touch of spice on the finish brought some grainy complexity to the beer. What really impressed me from ASU were the beers they served in the VIP section of the festival. 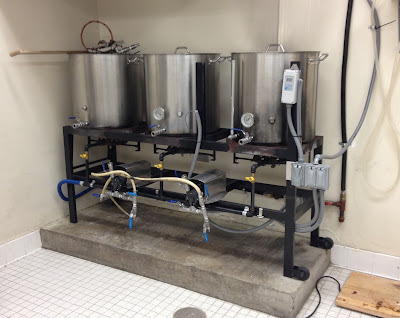 They had a rye dopplebock, a fir tip amber ale, a tripel and a quad which were all top notch. 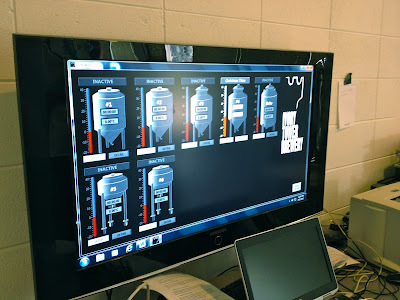 I managed to pull away from the beer for long enough to attend one of the seminars being presented in the Broyhill Center, home of the fermentation science program. It turns out that some of the students and professors had been experimenting with growing mushrooms from spent grains leftover from the brewing process. 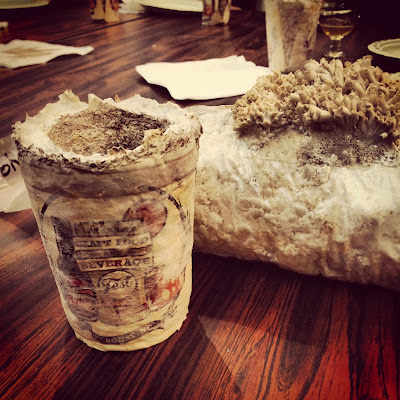 They served pizza with their mushrooms, a beer with mushrooms steeped in it, and these all natural, 100% biodegradable beer koozies made from the spent grain/mycelium mixture! Pretty wild! In between all the activities, I helped out Hi-Wire by pouring beers for a bit, always a good time. 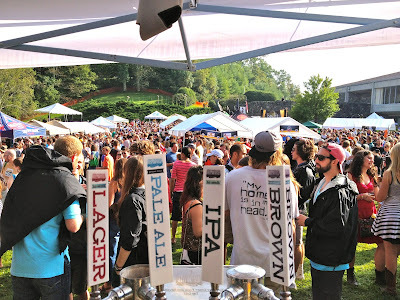 Their Lager and Brown Ale were very popular and they did a great job representing Asheville in the High Country. 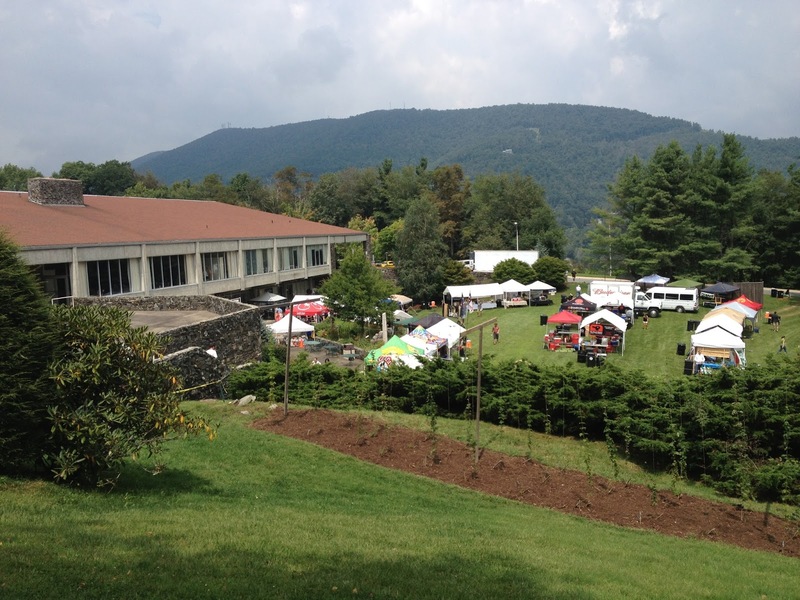 Every beer festival has its own feel, and High Country Beer Festival is no exception. Despite a few drops of rain, the 2,000 or attendees (many of them ASU students back from summer break) all had a great time sampling the creative and mouthwatering brews of North Carolina.